Do you still think you cant afford solar? At this price, and crazy power costs rising all the time - then you cant afford NOT to have it! So join the renewable energy movement today with these great deals without spending too much! 23 x 260 watt Infinity Solar Panels, come with Solax inverter. For real peace of mind, the warranty is also all done in Australia, some are not. Watch out for those heavily advertised, just so cheap that are just too good to be true. Our system and service in fact, easily exceeds them in every respect and is not an idle boast. Do you still think you cant afford solar? At this price, and crazy power costs going up all the time - then you cant afford NOT to have it! Look what this "bill blaster" has; 22 x 275 watt Infinity panels, that also comes with a great Solax inverter. Also for real peace of mind, the warranty is all done here in Aussie too. So start saving today today with these great deals, you wont spend too much! This has the lower-priced, but high-quality, Link Energy 270 watt panels. These come also with a 10 year factory warranty and 25 Year performance guarantee. The Link Energy Solar Panels for homes, like their Premium Jinko equal, also take up less roof space. The Zeversolar Zeverlution 5000 inverter (owned by German SMA), also comes with FREE Wi-Fi. Which means then you can check your system's performance from your computer or your phone. So start saving even faster with this excellent, low-cost bill-cutter! 22 x Talesun TP660P 280 watt Tier 1 panels, then matched with a Zeversolar inverter owned by German, SMA. 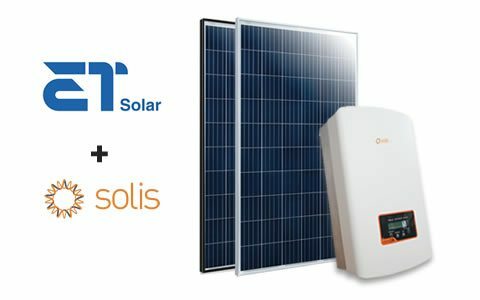 For the price, these panels are quite efficient and then teamed with a Zeversolar inverter, rounds off a great package! This inverter has WiFi too so you can monitor your system. So are you looking for Talesun solar system in Brisbane? Rated at 6.16kW, so you can enjoy top performance even with a smaller outlay. The “Bang for Buck” package has been incredibly popular with those on a tighter budget, so that doesn't mean ‘cheap’! 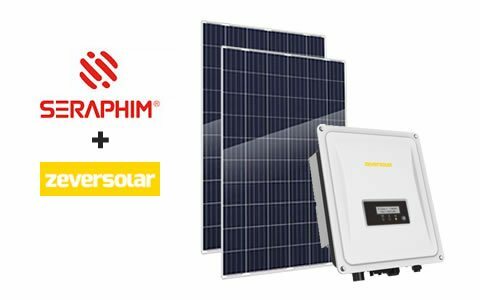 Solar Package Deals from Seraphim is the CEO’s special! Our best seller in fact! 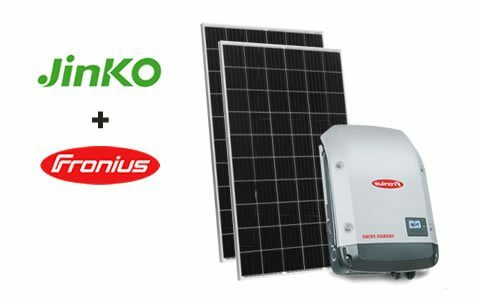 This is a premium package that has great panels such as 21 x Jinko JKM 315M at 315 watts. Also Jinko , a well known Tier 1 maker is one that you can rely on. These panels have a 10 year product warranty and also a 25 year performance guarantee. 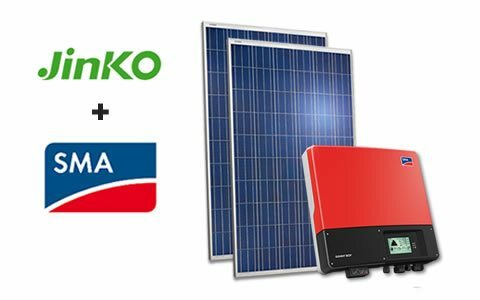 The consumer group Choice tested Jinko panels and in fact, rate them near to LG Solar, that cost much more! This system comes with FREE Wi-Fi which in effect lets you check its output from your PC or your phone. Also, you can choose from 3 types of inverter too! So ease the pain of high power bills with this 6kW Solar System, just a great solar deal! 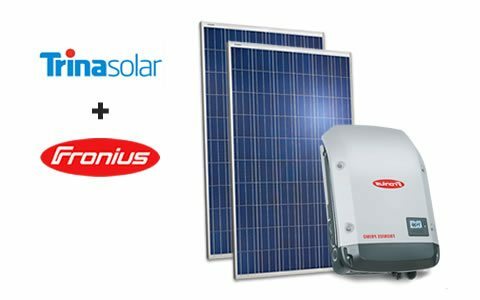 The Trina Honey TSM DD 05A 300 watt panels with the Fronius inverter is a winning pair!This is one of our best deals, it comes with Trina Honey panels and also a Fronius inverter. Made in Austria in fact. The inverter also comes standard with a 10 year warranty and has WiFi too. Trina Honey panels also work in low light on cloudy days. This due to their 'honeycomb' cells that use the space on the panel better. This is one 6kW Solar System that certainly ticks all the boxes! Trina has a branch in Sydney, and also does its own support. Trina and their close rival, Jinko are in fact two of the big names in solar. At this time, we have not worked out which one is better yet! If you are thinking about what brand to get, then Trina is well worth a look as a safe buy.! 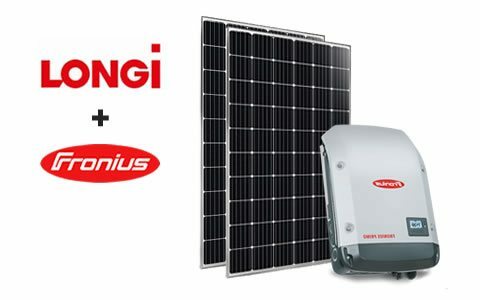 This package has Longi 300 watt panels and also one of the best inverters ever, the Fronius Primo. Longi panels are very common now, and rightly so, they are great looking, well made and powerful. What is special about Longi is their quality, in fact they are all mono crystalline. They also have PERC Technology Those with less roof space basically love these panels! You can get a system on your roof in fact with less panels. Longi are now then the biggest manufacturer of mono crystalline solar cells globally. This company produces the PERC solar cells also for LG and QCELL solar. In April 2017, saw Longi become then the fastest growing solar supplier in the world. Longi mono PERC panels are at a higher level in fact, than many on the market. 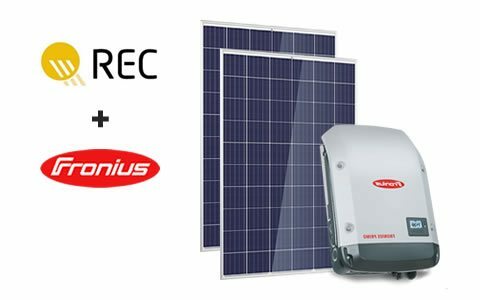 High Panel Efficiency - Solar Package Deals! 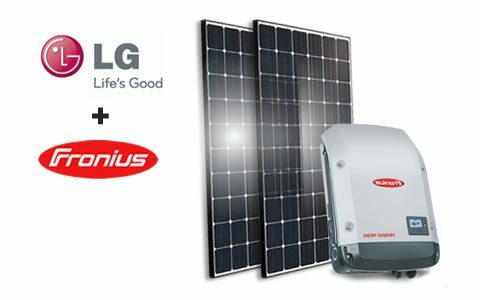 So yet another top brand joins our highly efficient solar deals! Made in Singapore, REC Twin Peak panels have a new, nifty design that therefore boosts panel output to higher levels. This enabling you then to get the most out of the space on your roof! These REC Twin Peaks reach their superb performance in fact, by using PERC technology. In cases where there are shading objects, then the best option is to use shade tolerant panels. Also, with much better levels in power output, the REC Twin Peak series, results in a higher level of efficiency. In situations of limited roof space, then this is your panel! Premium Quality with SMA Inverter! SMA is the world's most recognized inverter brand. This is a #1 quality, top level solution, in fact only matched by Fronius. Jinko panels also have a ten year warranty. They also have a twenty five year guarantee of performance. Trained experts install our Solar Systems, of course endorsed by the Clean Energy Council. The inverter also has a 5 year warranty. The latest series in fact comes with Bluetooth and Wi-Fi too. So you can monitor your new system easily! Excellent Lg Panels And Good Looking Too! The BEST indeed! Yes, its expensive, but not surprisingly, its also one of the best solar PV's that you can buy! It has 18 x 330 watt LG Neon 2 panels and also a Fronius inverter. This kit also has a 10 year product and a 25 year performance warranty. This is on the inverter. The panels go even better in fact and have 25 years on product and 25 on performance! The best you can get! LG is one of the safest buys in solar, in fact everyone knows this brand. Made in Korea to the highest of standards, they have also won many industry awards. The LG NeON 2 has double sided cells and also CELLO tech. This system comes in two packages, there is also a 20 panel, 6.60 kW available too for $8,990. These systems are battery ready too, so when you want to hook up a battery you can. Do You Want The Best Quality? So you want your home to feature the absolute best that money can buy - yes?! Sunpower – they make the world’s best solar panels and are legendary due to their performance and warranty. Accordingly, we have included it as one of our premium packages! Sunpower’s special design and production skills mean they can get so much more power from their panels. The 327 watt E-Series panel is the same physical size as other panels but they can only reach 290 watts. One-step ahead of the pack due to astounding technology … These cutting edge panels are still pricey, but now due to improved production techniques, they are a lot more affordable. Appealing to those that otherwise, would only dream of having the best panels on their roof. 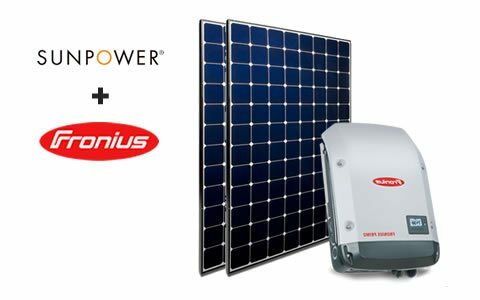 This powerful system has 18 x Sunpower E-20 327 watt panels, coupled with the Austrian Fronius Primo 5 inverter. It comes with a 10 year factory warranty and Wi-Fi also.